Ottawa (AFP) - Canada posted a record Can$3.6 billion (US$2.7 billion) trade deficit in June, the government statistical agency said Friday. 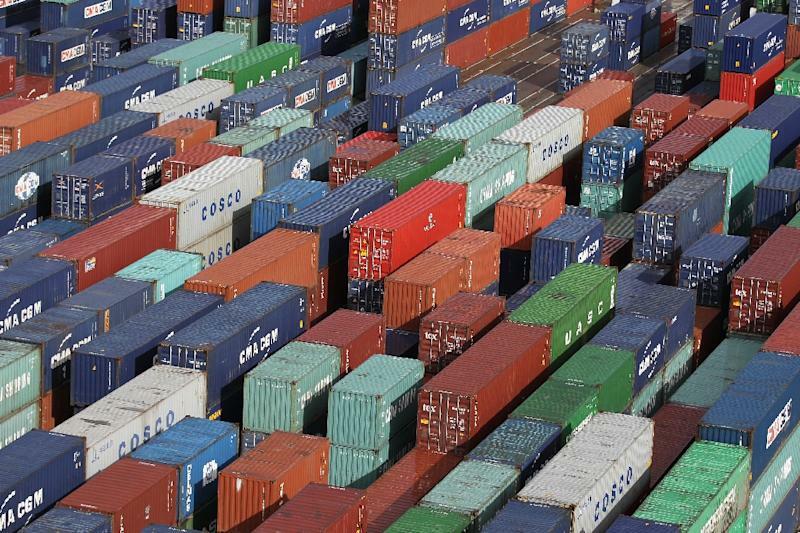 Imports rose 0.8 percent to Can$45.0 billion in the month, while exports increased 0.6 percent to Can$41.4 billion, widening Canada's trade deficit well beyond the Can$2.8 billion forecast by analysts. Imports from the United States -- Canada's largest trading partner -- climbed while exports fell. As a result, Canada's trade surplus with the US narrowed from Can$2.6 billion in May to Can$1.8 billion in June. Canada also exported more goods to Britain, Spain, South Korea and China while importing less from Switzerland and Norway. This was partially offset by an uptick in imports from Germany and Saudi Arabia. Gains in motor vehicle imports reached a record high in June, according to Statistics Canada, led by passenger cars and trucks. Canadian imports of refined petroleum products, communications and audio and video equipment increased, while fewer aircraft engines and parts were shipped abroad. Energy exports climbed for a fourth consecutive month as oil and natural gas prices jumped 9.1 percent and 32.3 percent, respectively. Exports of plastic resins, dyes and pigments, and petrochemicals, and basic chemicals were also up. The month of June, however, saw lower exports of unwrought gold to the United States and Hong Kong, as well as lower exports of unwrought nickel and nickel alloys -- down 17.5 percent to Can$256 million, the lowest level since January 2010.